Diesel Locomotives - Sufficient to have two large diesels on each railway. Diesel locos are vital for maintenance and rescue operations. Only one of our two large diesels is suitable for rescuing trains on the Ffestiniog and neither is powerful enough to haul a full length Welsh Highland train. We need something larger. Vital for works trains and for rescue operations in the event of locomotive failure, diesels play a major role on both railways. We have two large diesels - historic locos in their own right - one of which can be used for rescue operations or service trains on the Ffestiniog, but the heavier trains and steeper gradients of the Welsh Highland are beyond their capabilities. 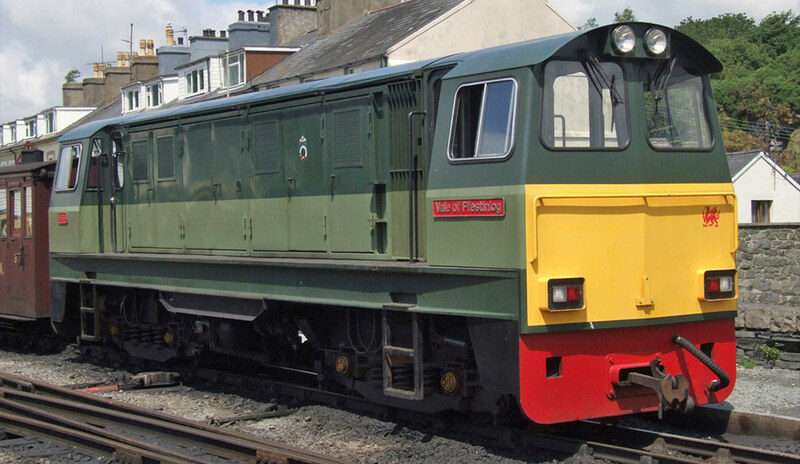 We need to secure two more powerful and reliable diesels for everyday use, allowing these historic locos to enjoy a less stressful existence on less strenuous duties.